If you didn't know on the last Wednesday of every month I do a little giveaway on my youtube channel. Didedi's Crafty Corner . How you win will be determined each month. 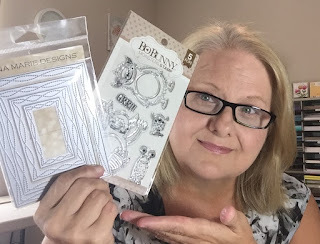 You must be subscribed to this blog and on Didedi's Crafty Corners youtube page. You Must leave a comment on this post and on the Win it Wednesday youtube video. You must by 18 or have parental permission . You must claim your prize by Friday at midnight or we pick again on Saturday. We will announce the winner on 6/7/17 on a post here titled Win it Wednesday Winner. Thanks so much! Love your channel, and wow now I love your blog too! Thanks so much for that fabulous prize! Today is my birthday so it would be a nice surprise if I ended up winning it! Crafty hugs! Gracie. Hi Diane I would love to win this giveaway thanks for the opportunity. Oh what fun. Love your channel and enjoying your blog. Have a wonderful day. Thank you so much for a chance to win. I love your channel. You are so Great! Thanks for a chance to win! Hugs from Michigan! YAAY! W-I-W is back! Thank you so much for the chance to win, Diane! Good Luck everyone! Wow, what some awesome prizes!!! Thanks for giving us the chance on winning these. Hugs!!! Love to win, but just a quick note....I like the film box hanging just where it is. To me it looks like art. Diane, thank you so much for sharing your favorites with is! I just love those monsters. They would make awesome birthday cards for my 10 grandkids. They aren't monsters but it would be cute to make them monster cards. Thank you for the chance to win. I hope you and your family has a great week. Take care and be safe. Hey Diane I would love to win these :) I am happy you have decided to keep doing the giveaways! I love having the chance to win something that I don't have or might not have the funds to buy! Thank you for that chance ! Hi Diane, I enjoy your video very much thanks for a chance to win. Love the wonky dies!! Thanks for the chance to win! Such a fun giveaway, the wonky dies look so much fun. Thank you for the chance to win. Hi Diane! I love the wacky die set! I would love to add that die set to my collection. I love stamps and dies. I enjoy using stamps and dies to create beautiful works of art. Thanks for the giveaway! I don't have any of her dies but they are pretty, thank you for the giveaway. Thank you for all your videos. I would love a chance at winning that die set, thank you for the opportunity! Hi Diane! I love the cute monster stamps! Thanks for thinking of us and wanting to continue with Wednesday Wins!! Hi Diane Thank you for the opportunity to win. Love all the cards you make, you are so talented. I love following you on IG. Such an inspiration in my card making. Thank you for the opportunity. Those lil monsters are too cute! Thanks for a great giveaway! I truly appreciate your generosity in a chance to win such great prizes. You are such an inspiration and I love watching your videos. I love that you are doing this blog. Thank you or all the tips and ideas that you share with us. Thank you Diane for Win it Wednesday , I'm loving the stamps , I have few Gina Marie dies , I missed that win or lose we be adding that to my dies , Thank you once again for your thoughtfulness of others and having Win It Wed.
Wow Diane! This is an AWESOME giveaway! Thank you so much for having it! Super cute prizes I'm sure we all would love to have in our collection! Love both dies! Glad you are keeping Win-It Wednesday! HI Diane. Thanks for the chance to win these great prizes. Awesome giveaway thanks and wonderful to see you. Thank you so much for continuing the Win It Wednesdays!!!! Diane, thank you for the awesome opportunity to win these great prizes! I love watching your channel, and seeing the amazing crafts you make. Ok that monster is so cute... Love your art and I appreciate your vast experience, makes me feel good when I try something new. You are soooo generous to have these giveaways!!! Such great prizes too! Glad you are continuing this Diane! Thank you for a chance to win! So sweet of you to do these giveaways! Love this die set. Like to see other shapes also. Thanks for sharing this. Thank you for continuing win it Wednesday. Love your videos! Thank you for the opportunity to win the giveaway. Wow, I would love to win this fabulous prize I have been wanting to get some Gina Marie dies forever so maybe I will win this time . Good luck everyone. Much love and God bless you xoxo tfs. I love your vidoes, what a great giveaway prize . I love those monsters!!!! Thanks for a chance to win!! Thanks for the great giveaway. Love the monster stamp and the wonky stitched die. Those wonky rectangle dies of Ginas are on my wishlist!! I too think a whole collection of them would be amazing. Hi Diane. Happy to catch your video this morning. For some reason I have missed some. I need to go catch up. I love those wonky rectangle dies and have them on my wishlist. Your generosity to others is amazing. Have a blessed day! Awesome giveaway as always! Thank you for always sharing with us. Thanks for keeping your giveaways. You are so generous. I'm thinking lucky thoughts. Hi Diane, this is so awesome!! Love this set, Thank you for this opportunity. Hi!! Thank you for the awesome giveaway. I'm totally enjoying your channel and blog. Keep up the awesome job!! Hope you both had a greal time. The dies and stamps are awesome. It is so nice of you to keep Windows it Wednesday going. Thanks for a chance to win. Thank you so much for the opportunity to win. I do not have anything from these too companies. Awwww these stamps are so cute and I'm diggin those dies...thank you for a chance to win!! Thank you so much for the chance to win!! I just love the wonky stitched dies!! Hi Diane, it's so nice of you to continue with what you love to do. I have wanted to purchase those wonky rectangles for a while but haven't yet, would be so lovely to win it, thanks so much for the chance to win this lovely giveaway! Wow, Loving these dies so many things to do with it.. creativity is endless! The stamp & die combos are my favorite. Thank you for an opportunity to win.